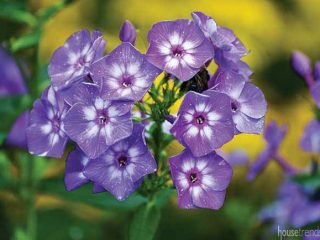 Start Stairing, staircases worth a good, long look. 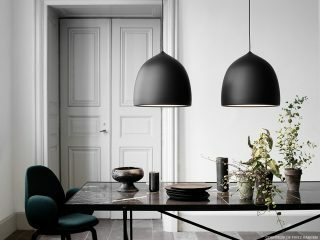 Housetrends. 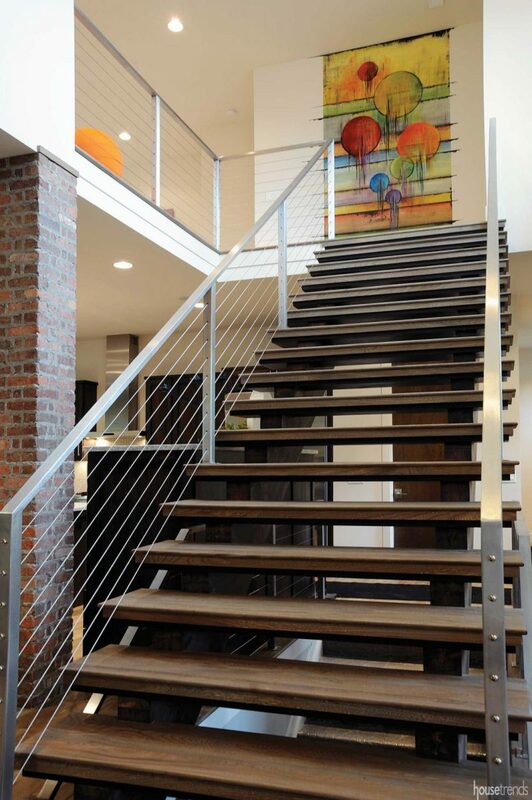 A steel beam supports wooden treads in this Cincinnati condo designed by Wichman Gunther Architects. Step on up and prepare to be amazed. Talented wood, glass, and metal workers are creating staircases that are works of art. 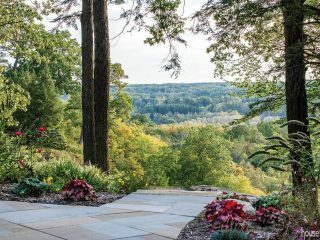 Whether you favor a classic rail that twists and twines or a cool contemporary beauty, take a peek at these gorgeous stairways and find your favorite. 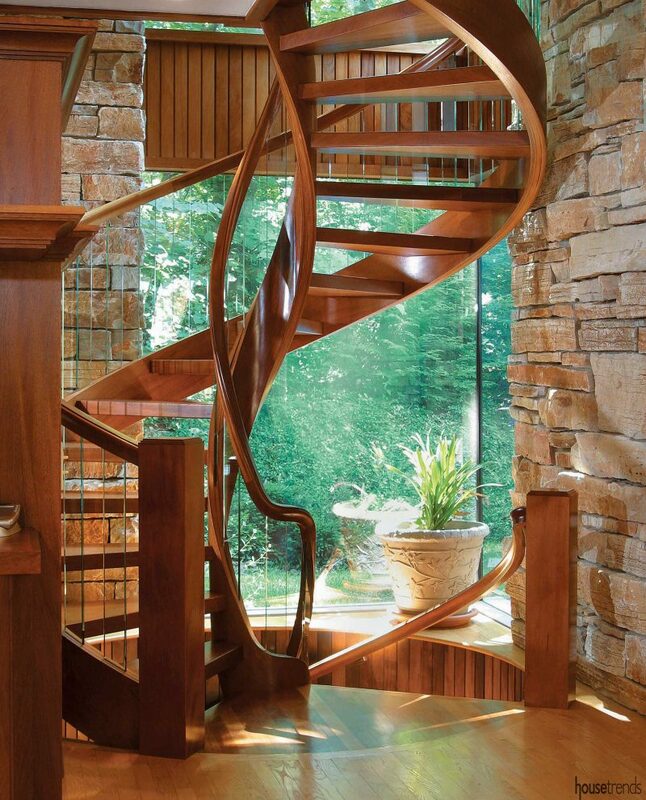 Wood flows like liquid in this spiral staircase in this Cincinnati home built by Dennis Garber. Stripped clean of any fancy woodwork, cable railings sometimes seem like a trick of light. 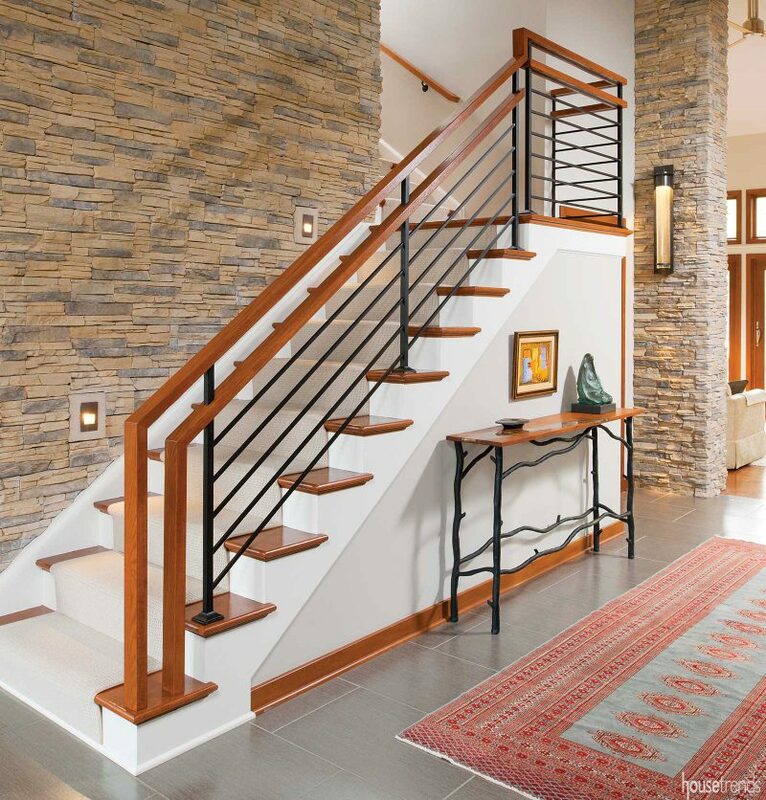 A cable banister and walnut steps without risers adds a bit of airiness to this Cincinnati staircase built by Daniels Homes. 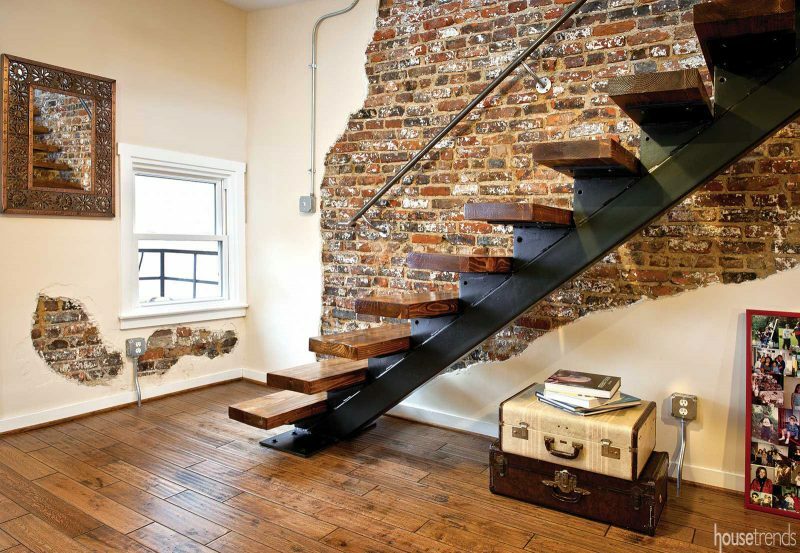 Sleek lines sandwiched between the steps and banister add a clean, and slightly industrial, vibe to the space. 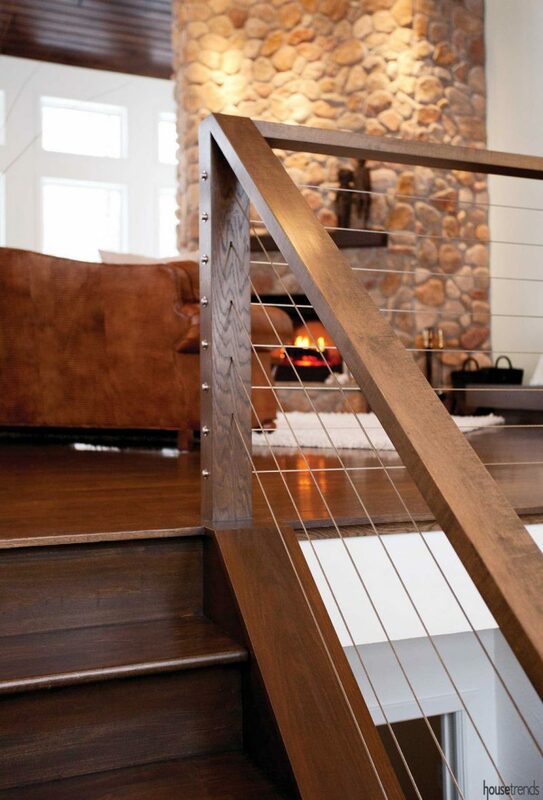 A wood banister and cable railings add a contemporary touch to this Cleveland home designed by Ryan Duebber. 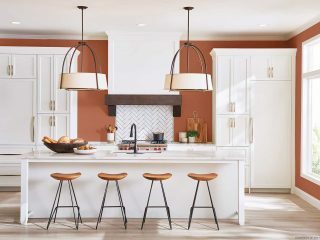 These banisters launch from a more traditional starting point before spring boarding to the boundaries of a modern style and landing somewhere right in the middle. Metal blows like grass in the wind in the Cincinnati staircase designed by 1st in Design. 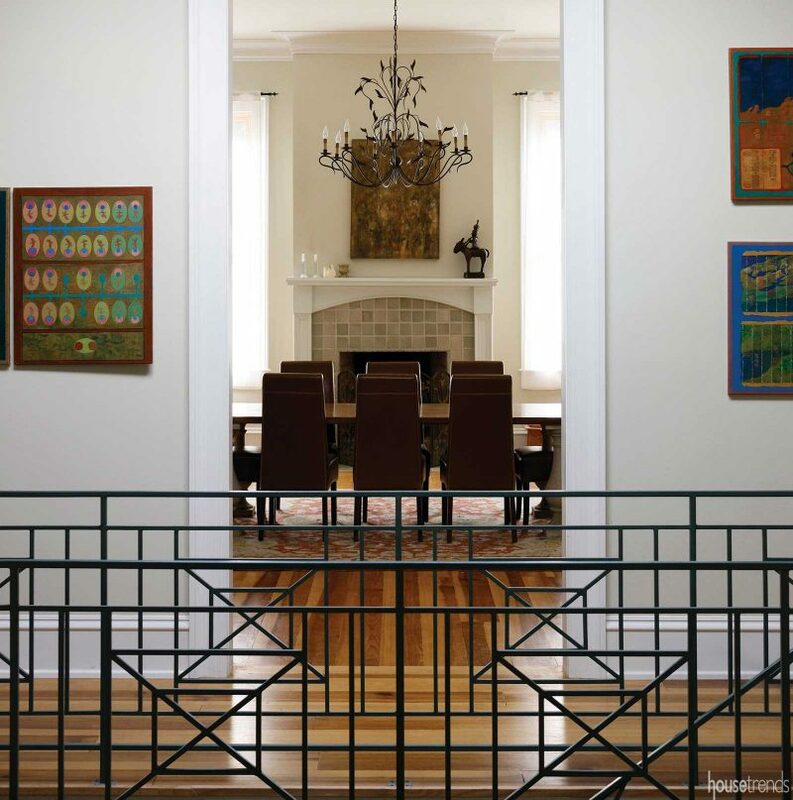 Strict angles or whirling designs—a decorative railing is the perfect place to let your imagination fly. 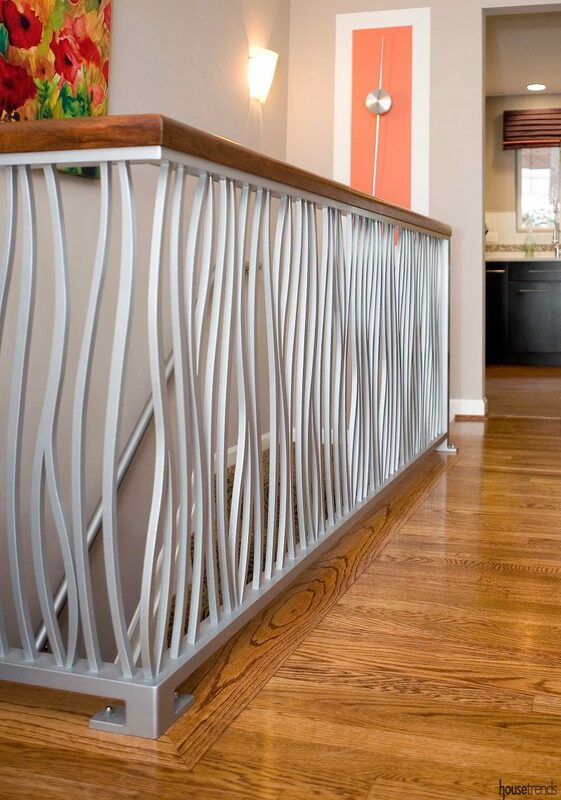 This metal banister adds a geometric touch to this Cincinnati home. 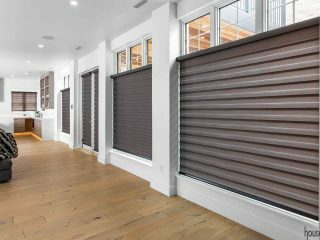 Easily included in any type or style home, these railings add a pop of personality with their made-with-metal patterns. 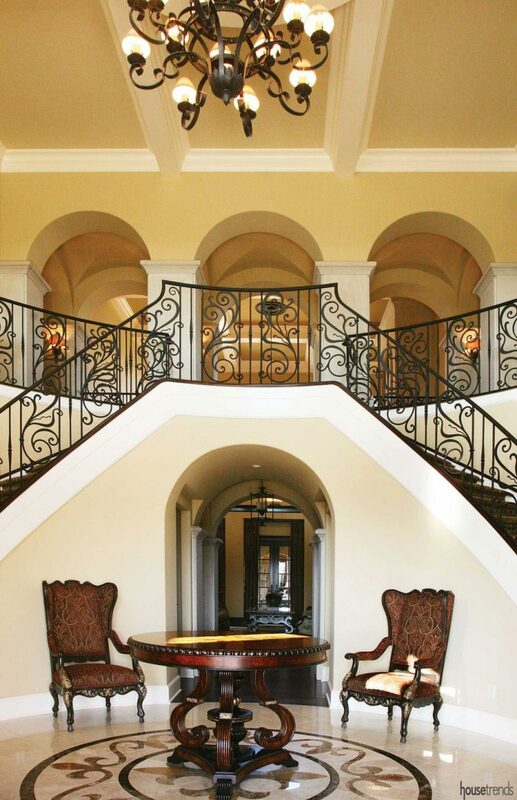 A striking double staircase greets guests in the entry of this Columbus home. Clearly, glass railings and steps are a daring choice. 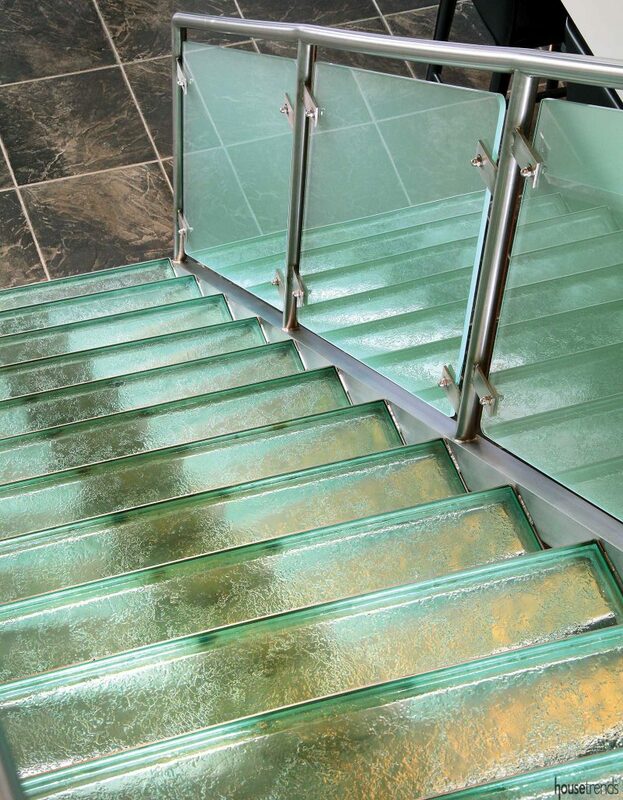 Glass treads glow in this lighted staircase in Cincinnati. 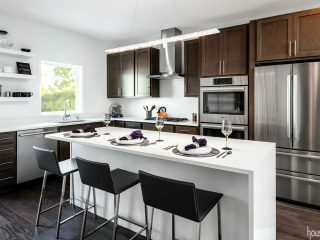 But the good news is this material is available as clear, translucent or opaque and can be tinted a variety of colors. 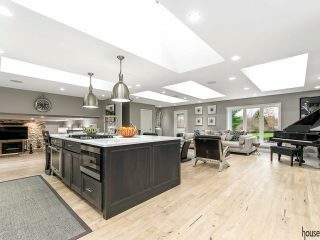 Custom glass panels by Nemes Glass let light shine through in this Pittsburgh home. 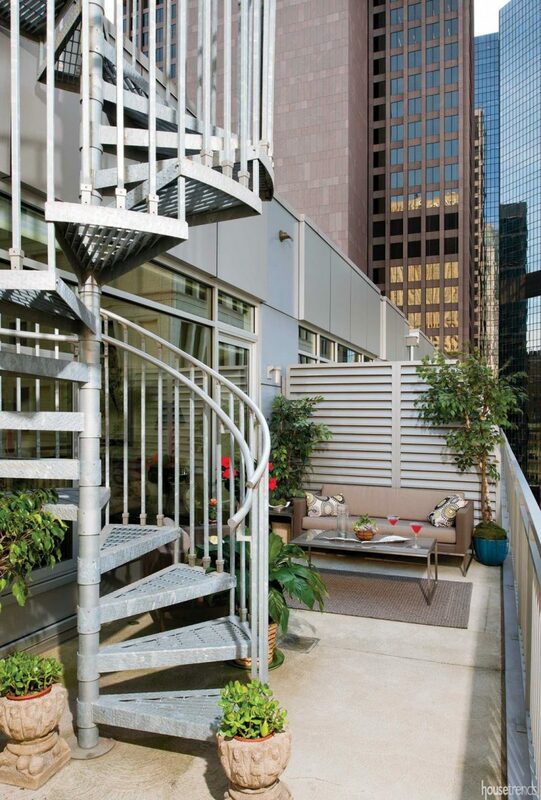 Swirling up to dizzying heights, spiral staircases add a touch of whimsy. This balcony staircase was built my Millcraft Industries. Like something straight out of a fairy tale, these serpentining staircases invite us to make the climb an adventure. 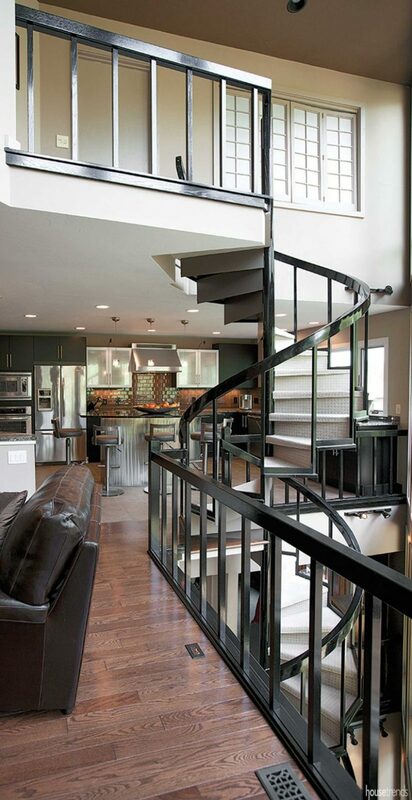 A black banister and spiral staircase add a masculine touch to a Cleveland bachelor’s condo. 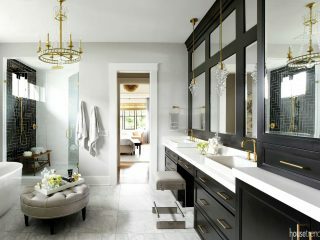 We’ve all heard the saying “less is more” and that’s no exception when it comes to home design ideas. 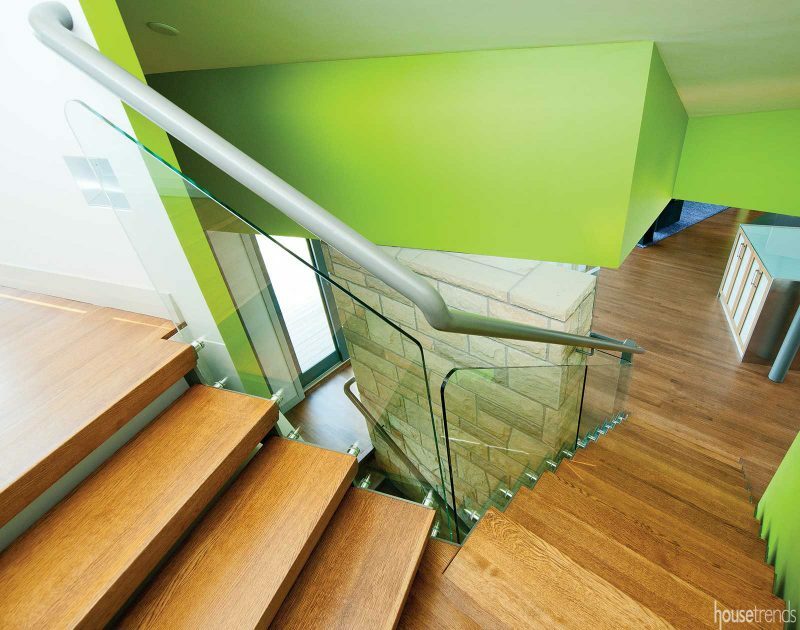 These staircases offer a stark simplicity that draws the eyes in an unhurried way. 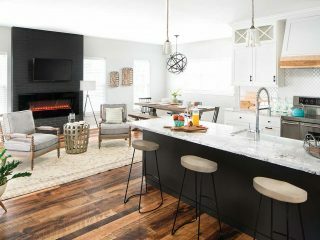 The lines are kept clean and simple in this Pittsburgh home built by Madia Homes.